We originally had planned to stay in Killarney for an extra night and then drive straight to Dublin Airport to fly out. After driving on Ireland’s roads, we realized this plan was way too ambitious, since it meant we would need to get up very early and drive for 4 hours in the dark. So, instead, we made a last minute decision to explore more of Ireland’s Ancient East and stop for 1 night in Kilkenny. 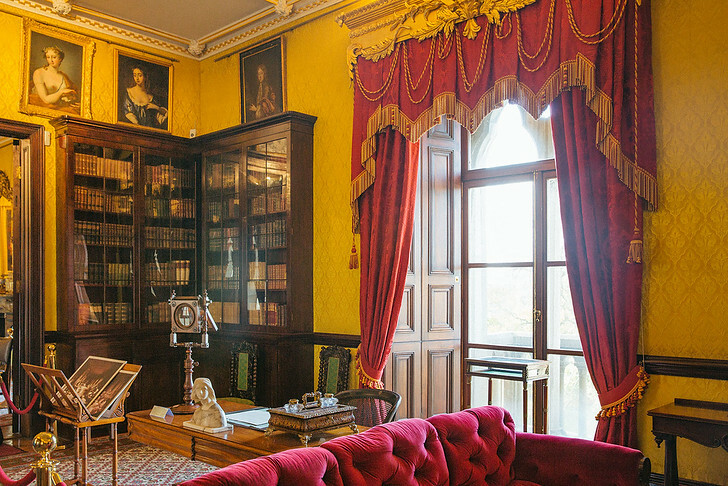 Kilkenny is only an hour away from Dublin so it’s also a great day trip from the capital! Apparently lots of Dubliners will have stag parties or weekend getaways in Kilkenny’s fun bars. The highlight of visiting Kilkenny for us, was exploring Kilkenny Castle. 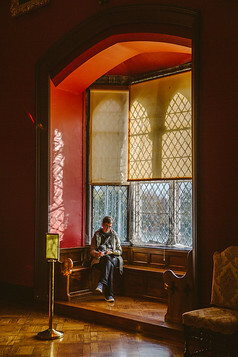 I have a huge obsession with castles and was pretty disappointed to find that most castles in Ireland are either ruins or fancy 5 star hotels where you need to be a guest to visit. 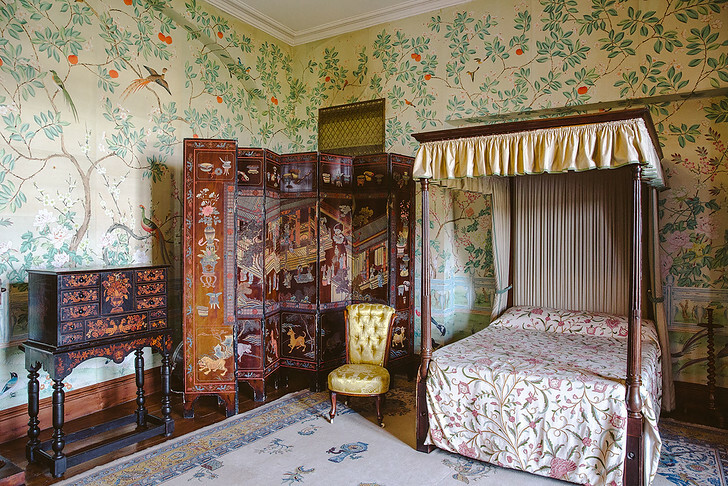 Kilkenny is one of the very few castles that have been restored, fully furnished and offer tours to the public! 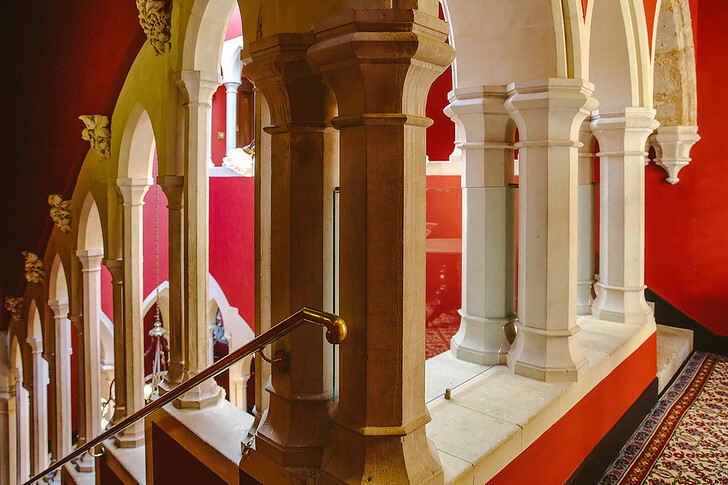 Keep reading for a quick look at Kilkenny Castle’s history along with tons of photos of the interior! 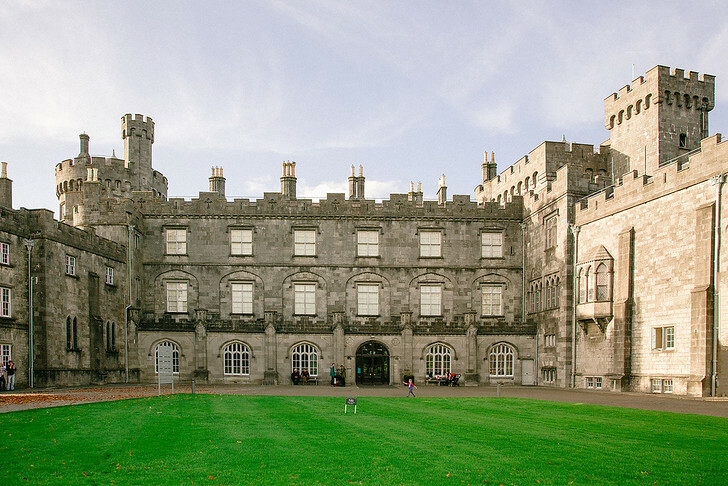 Kilkenny is a charming medieval city in Ireland, just 75 miles southwest of Dublin. Although it’s Ireland’s smallest city by population, its one of the most popular tourist destinations in the country, loved by both international travelers and local Irish. 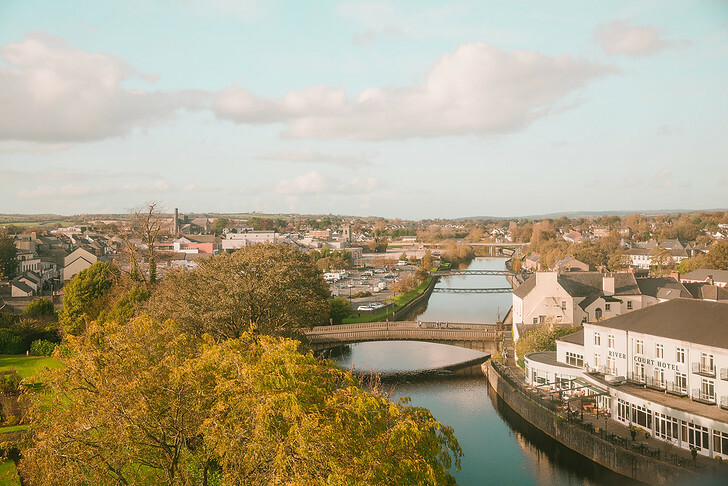 The River Nore splits the city in two so if you’re a first time visitor to Kilkenny, you’ll likely be interested in the sights on the river’s west bank. As part of Ireland’s Ancient East and the country’s ‘Medieval Capital’, there’s lots to see in Kilkenny! Great nightlife, quaint medieval streets and lots of shopping can easily occupy you for 1 to 3 days. 1 | Pembroke Hotel Kilkenny – This quaint hotel is made for travelers, with a fantastic location right across Kilkenny Castle. It’s on the main street, close to all the sights, and the rooms are very comfortable! 2 | Langton House Hotel – Langtons is a beautiful hotel with great service and comfortable, warm rooms. Each part is decorated with a slightly different theme and there are multiple bars for great food and better drinks! If you have the time, sit down for a divine afternoon tea experience. 3 | Newpark Hotel – This luxury hotel is about 10 minutes drive outside the city center and offers free wifi and free parking. Rooms are stunning, the staff is friendly and seems to love working there and the breakfast menu is extensive! Great for business travelers and weddings. Richard de Clare, the Norman conqueror of Ireland and arguably the man who dramatically shaped Ireland’s present day history, first built a basic wooden tower to overlook the River Nore in 1172. Nicknamed ‘Strongbow’, Richard and his Norman knights succeeded the Vikings as the new rulers of Ireland. In 1260, his son-in-law William Marshall replaced the wooden structure with a stone castle. The castle was built on a hill above the river, creating a dramatic entrance to Kilkenny City. 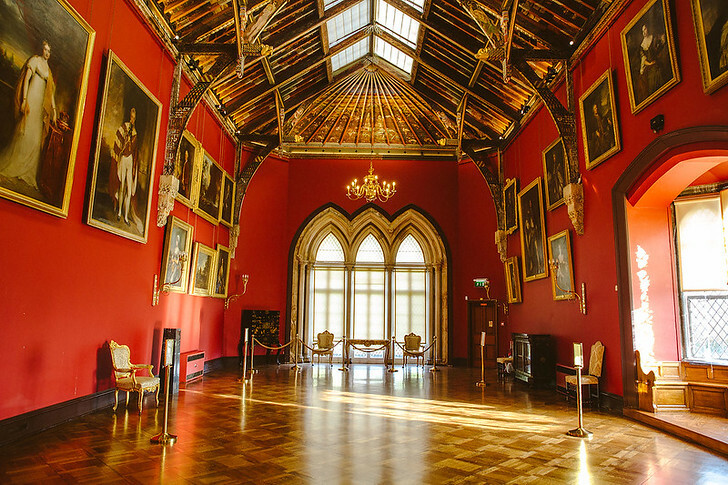 In 1391, the distinguished Butler family purchased Kilkenny Castle and the various Earls, Marquesses and Dukes lived in the castle for nearly 600 years. 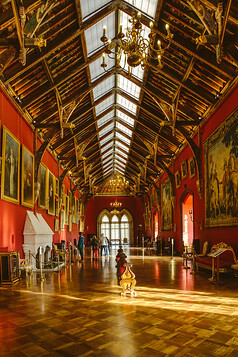 Additions and alterations gradually expanded the palace, so today Kilkenny Castle weaves a number of different architectural styles. Read more: A Foodie’s Guide to Visiting Ireland: What & Where to Eat! 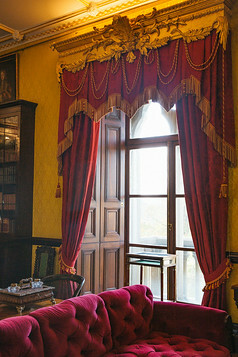 Eventually the Butler family moved to London and sold Kilkenny Castle’s furnishings, leaving it abandoned for over 30 years. Rising taxes, death duties, economic depression and general living costs had made living in Kilkenny Castle uneconomical. Parts of the original castle survive but the majority seen today is part of the 19th century reconstruction efforts. 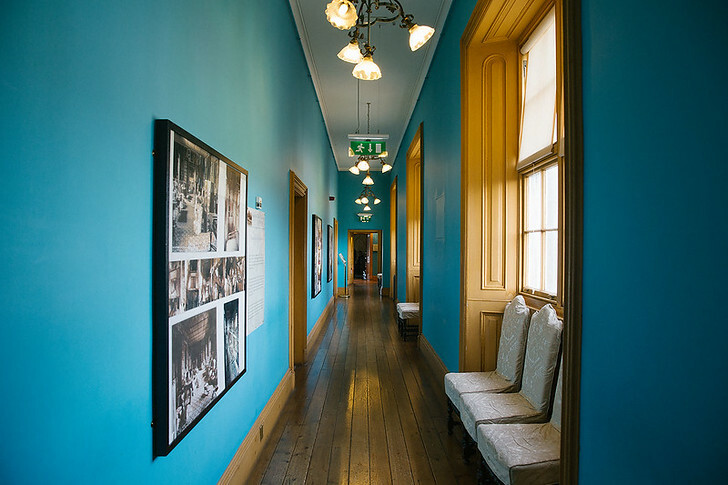 Make sure to check out the Long Gallery, a dramatic room with painted ceilings and portraits of the Butler family as well as the Butler Gallery, a room filled with art and rotating exhibitions. Guided tours of the castle are offered daily and are well worth the time! You can purchase tickets here. The castle grounds are extensive and open to the public. If you like to run, why not join the free weekly 5k run? It’s a timed run against the clock! Enjoy visiting Kilkenny, Ireland! Let me know if there are any restaurants or sights you think I missed in the comments.